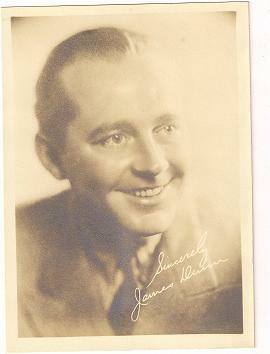 Facsimile Autographed Photo And Mailing Envelope-Actor James Dunn Price:$7.99=$5.00 S&H This is a mailing envelope with the stamp still attached containing a promotional photograph with a printed autograph of actor James Dunn. It was mailed to a fan in Kansas. Mr. Dunn was born in 1901. He started his film career in 1929 and continued until 1966, a year before his death. Most of his credits were in the 1930's and 1940's. 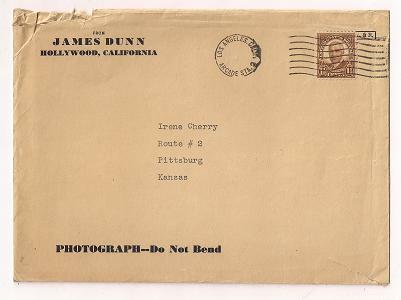 The envelope has a small tear but the photo is in excellent condition.